The 10U B team went 2-1 in round robin play, including one shutout. Their only loss was to the New Mexico Ice Wolves, who went on to win the tournament. The team made it to the quarter finals, but fell to the Mission AZ team, who took 2nd overall. The 10U A team was 3-0 in round robin play, outscoring their opponents 16-3, including a 7-1 win over the Tulsa Jr. Oilers. As the #1 seed, they drew the #4 Texas Jr. Brahmas (2-1) in the semi-finals, beating them 4-2. The finals would be a rematch against the #2 Jr. Oilers, who they beat 6-2 to win the championship. The 12U B team went 1-2 in round robin, which put them in 4th place. They drew the #1 Jr. Eagles (Blue) team, who were 3-0, averaged 6 goals per game, and had only let in 2 total goals in round-robin play. The Hawks fell 3-1 in the semi-final match. The 12U A team was 0-4 throughout the round robin and consolation game play. The 14U AA team went 1-2-1 in round robin play. They scored 5 goals against the eventual division champion Icedogs. The 14U B team was 2-2 in round robin play, barely missing the finals. They handed the eventual division champion Foothills Flyers their only loss in the tournament in a 5-0 game. Both goalies for the team had save percentages of 90%+. The 14U A team went 2-1 in round robin play. 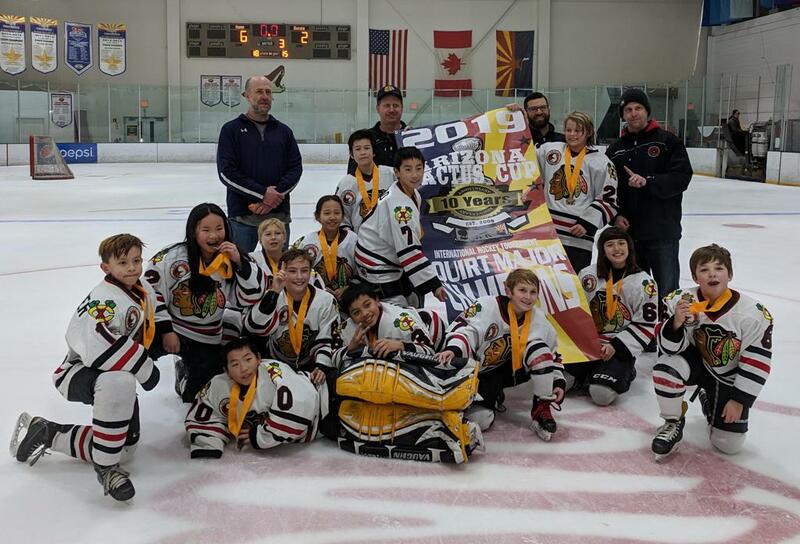 They beat the Tulsa Jr. Oilers in the quarter-finals, but fell to the undefeated and eventual division champion New Mexico Ice Wolves in the semi-finals. The 16U A team was 1-3 in round robin play. The 16U AA team went 2-1 in round robin play, but fell to the #1-ranked Atlanta Fire in the quarter-finals. The goalies for the team had save percentages of 91.7% and 95.9%. The 18U AA team was 1-1-1 in round-robin play, and won their consolation game.